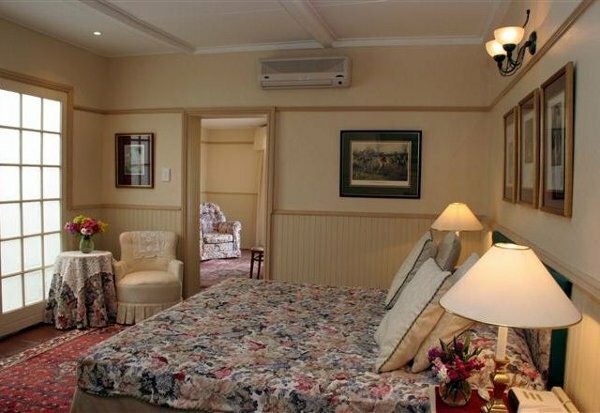 Situated in the historic town of Graaff-Reinet in the centre of the Karoo Midlands, the Andries Stockenstrom guest house is one of the culinary oases of South Africa. Food is a passion here and the dinners are legendary; the highlight of your stay and an experience to be savoured and remembered. The owner and chef, Gordon and Rose Wright invite you to become part of this experience and Karoo hospitality at its best. Bedrooms are cosy, with comforts and extras to pamper, and the floors in the old house are all original yellowwood. Relax on the pool terrace or in the lounge, or stroll the streets filled with architectural treasures, of which more than 200 are National Monuments. Visit the awesome Valley of Desolation and nature reserve with plenty of game. Food is the very being, the soul, of this guest house and Gordon’s enthusiasm for good, honest food is legendary. Finding and turning the best local and regional products into a fine art is what sets his cuisine apart, and has cognoscenti proclaiming it among South Africa’s finest. The guest house and Gordon’s restaurant is located in a manor house built circa 1819, and offers seven en-suite double rooms, all elegantly furnished. All rooms have 100% percale linen and mohair blankets from the region. Graaff-Reinet is ideally situated as a stopover between many of the major centres in South Africa, but it is the visitor who takes the time out to explore this unique area, who will experience the adventure of a lifetime. The route via Graaff-Reinet is the best access between the goldfields of Gauteng and the spectacular Garden Route and on to the winelands and Cape Town in the south.